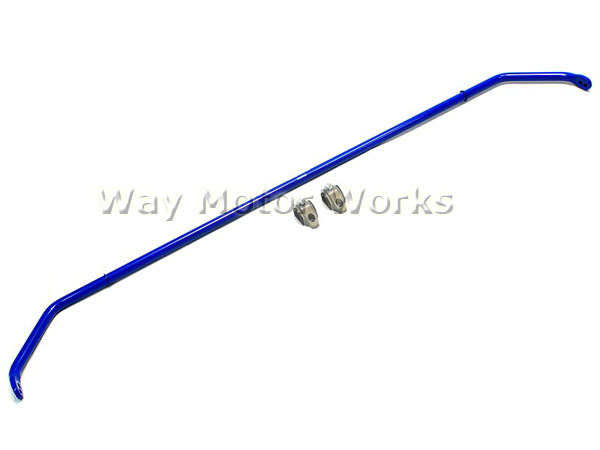 NM Engineering Countryman R60 22mm Rear Sway Bar. The NM Engineering 22mm rear sway bar will reduce the body roll and make your countryman more neutral in the corners. The solid 22mm bar is powdercoated blue. It comes with 2 adjustments. The sway bar bushing brackets are machined from 7075 aluminum with zerk fittings. The zerk fittings allow the bar to be regreased without removing the bar. The greased poly sway bar bushings have a channel to hold the grease in. WMW did extensive testing and found this to be the ideal size as anything smaller was just a waste to put it on.